The implementation has been done on the solver-independent level without any dependencies on the underlying solvers. 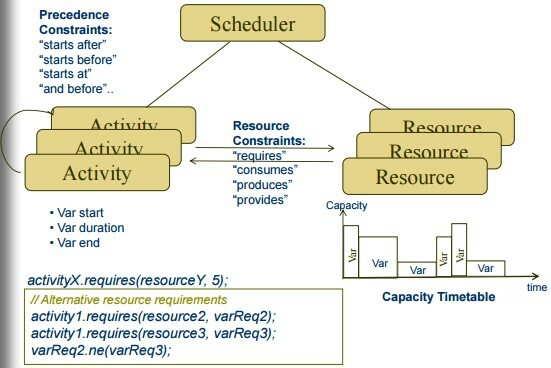 While it adds flexibility, the implementation is still basic and does not take advantages of specific scheduling constraints provided by different constraint solvers. The package is added to the standard JSR-331 installation and comes with Javadoc and a set of samples scheduling projects.